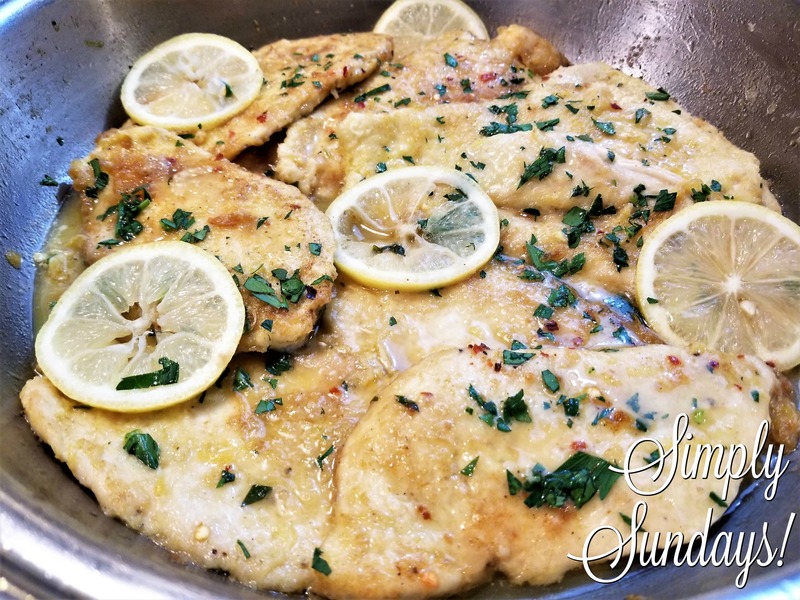 Chicken Francese – Simply Sundays! Garnish with parsley, crushed red pepper and lemon slices and dig in!!!! My daughter loves chicken and is always looking for new ways to prepare. Your recipe, crispy chicken with lemon and parsley is not too difficult to make. Sharing the recipe link with her. Thank you! Hope she enjoys it! I love finding new chicken recipes! I’m totally on board with this chicken francese recipe! Chicken and lemon and all of those yummy spices, yes please! Let us know if you try it out Lesli! Love your how to photos here! Makes this so easy to try at home. Great flavors in this too. This Chicken Fancese looks scrumptious. I love your step by step instructions. You make it look so easy to prepare. I can’t wait to make it for dinner soon. This sounds like a wonderful family meal! I know it’s the kind of thing my children would love too so definitely pinning to make later. Thanks Corina! Hope you love it!